Located 169 Lava Street, Warrnambool Apply now for courses starting in March. Join an industry that is growing! If you are compassionate and caring then maybe a career in aged care and health is for you. Check out what we offer at Diversitat Training. Provide care and support to a range of clients in their homes and in residential care settings. Are you looking to start a career working with young children? 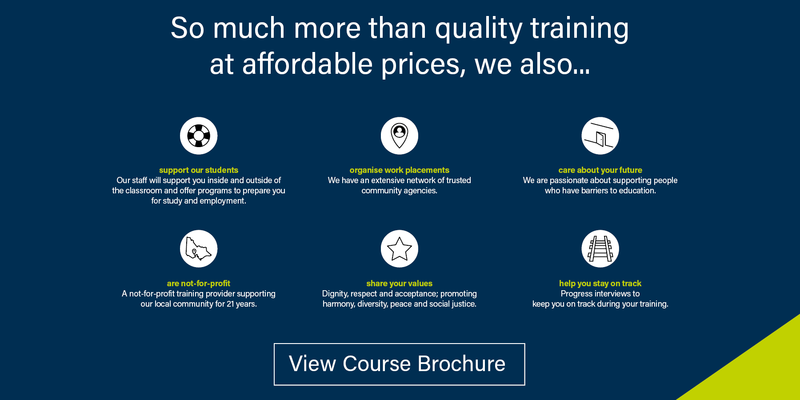 If you enjoy working with young children and you are considering this as your career path, Diversitat Training offers a range of accredited courses in Geelong. Train to work in the community sector providing activities which assist individual and family functioning. This is a growing industry! No longer attending school but want a better chance at getting a job or further education? At Diversitat Youth we understand that school isn’t for everyone. However, education is still important if you want to find work or explore further study. Undertaking and achieving a VCAL pass can help with this! Also have a look at our School-based Apprenticeship and Traineeship options for students still in school. Our English Programs are designed to develop the language and literacy skills of culturally and linguistically diverse (CALD) students. Always wanted to learn a new language? Now is your chance. Adult Literacy and Learning, Transition into the community, Prepare for work. This program is designed for people who have an intellectual disability and focuses on various needs. Young Australians can get a head start with their careers by beginning an Australian Apprenticeship while still working towards their senior secondary school certificate. Australian School-based Apprenticeships are a great career option, allowing young Australians to commence training for a vocational qualification and earn a wage while completing their senior secondary certificate.